There are several ways of painting roses. Here's another one that is relatively easy to do. I named this floral nail art "Paper Roses" mainly because it was my inspiration. I used to love origami and if I remember it correctly, it was my mom who taught me how to make roses using a gift wrapping ribbon. 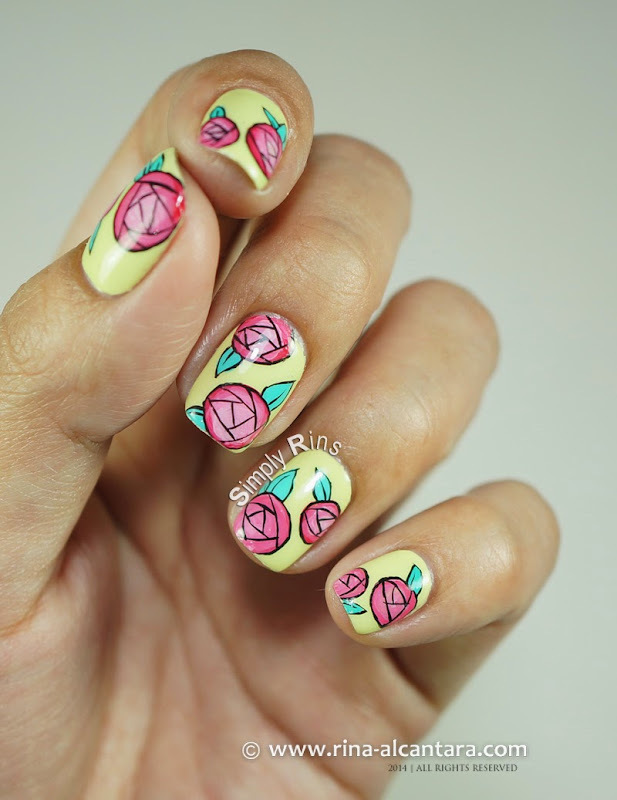 I drew this nail design as if it were papers folded to form roses. I hope you'll like it as much as I do. It might look complicated but really, it is not. The most challenging part for me is painting the outline of the roses. Other than that, everything else was a breeze. Looking at it after I finished painting, I think this rose nail design looks better from a distance since there's not much detail added. And even from afar, it is distinctively identifiable. For background color, I used 3 thin coats of Deborah Lippmann Spring Buds. It is a very light apple green shade which I think is perfect on any flower inspired nail art. I did this freehand design using acrylic paints and nail art brushes. To add some depth into the roses, I unevenly mixed red and white paint. By unevenly, I mean that you don't need to mix the 2 colors well. So when you load the paint into your brush, it would create streaks of both colors. This would in effect, result to some shading for the roses. Stroke your brush in circular motion and lightly. Dab a tiny amount of pure white paint if necessary on areas that you would like to appear lighter. 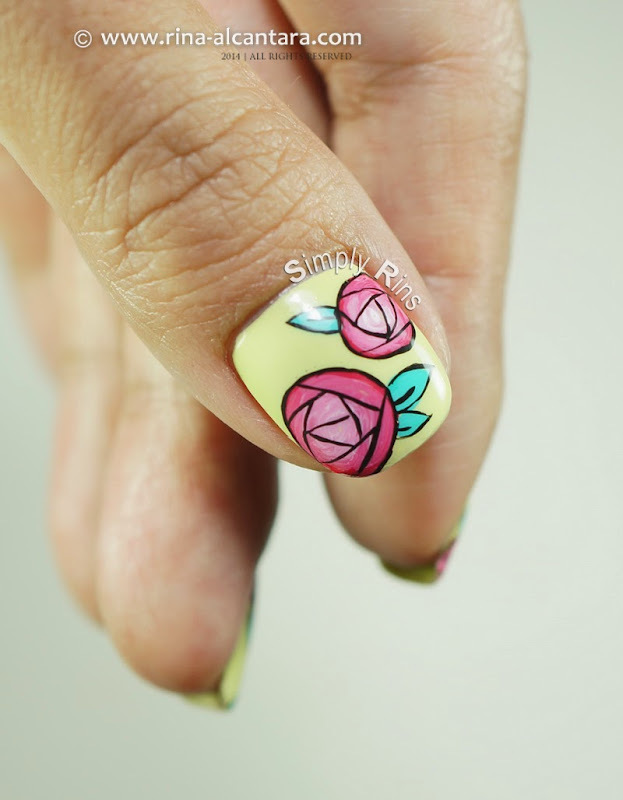 After creating the base shape of the roses, I used a short striping nail art brush to paint the outline. I then painted straight lines inside to create the "creases" that one sees on an origami rose. Finally, I added some leaves and outlined them as well. Here's a little trivia about moi: I am not fond of roses. But I do love them on the nails. They make the digits look more feminine and it makes me feel romantic. I know, cheesy. 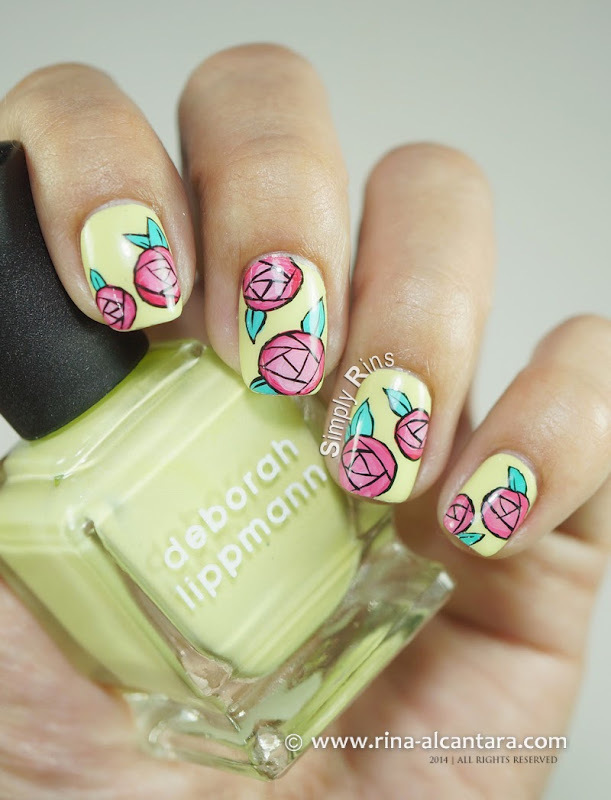 If you are looking for an alternative on how to paint roses, perhaps I this nail art can inspire you. Did you like it? Let me know what you think about my Paper Roses nail design.